Gruen was involved in numerous Lawsuits were numerous, perhaps as many as 50. This first case caught my attention as being just too weird to pass up on posting! Who knew?! In a 1951 case between Gruen and Artists Alliance, Gruen alleges that they were swindled out of Product Placement in a films "Love Happy" staring the Marx Brothers. Gruen constructed a specially designed advertising display consisting of a very large neon illuminated clock with the words "Gruen Watch Time" at the top. The clock had a huge swinging pendulum and Harpo Marx swung from this in a Hollywood "chase" sequence. This display was made and used in the filming in 1948. 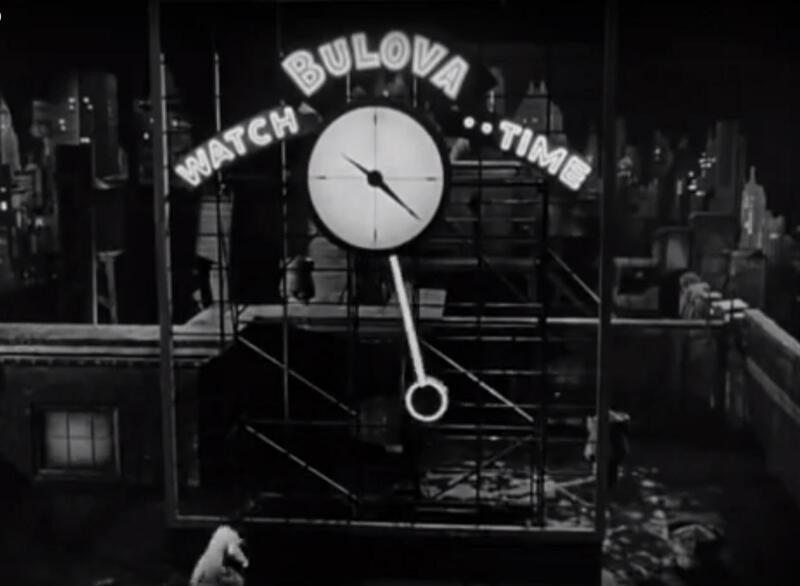 Then, in Sept 1948, the film's publicity director wrote Gruen, sending them photos from the filming using Gruen's clock, suggested Gruen might want to send watches to be displayed in connection with advertising the picture. Then, after Gruen had told people they would appear in the film, they were again contacted, this time with a demand that Gruen pay $25,000 (over $250,000 today!!!) to help cover the costs of advertising the film and Gruen watches. 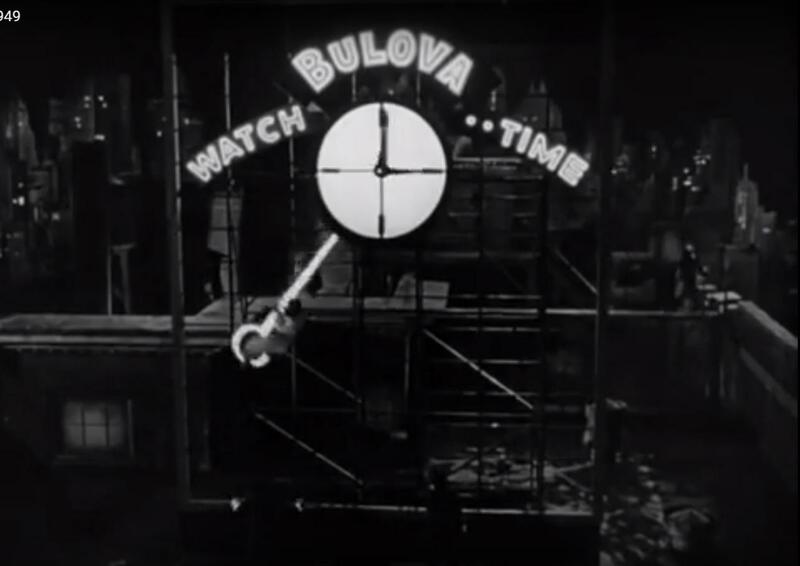 The bill came with a threat to not just remove the Gruen name from the watch prop in the film, but to replace Gruen with BULOVA! Recall that this giant prop was actually built by Gruen, presumably at some hefty expense. Looks like Gruen didn't pay up the extortion and that the film's producers went through with their threats to bump Gruen from their own sign. Harsh! Below is the full text from the legal brief. GRUEN WATCH CO. v. ARTISTS ALLIANCE, Inc. et al. Taft, Stettinius & Hollister, Cincinnati, Ohio, Gibson, Dunn & Crutcher, Henry F. Prince, Frederic H.
Sturdy and Richard E. Davis, Los Angles, Cal., for appellant. Mitchell, Silberberg & Knupp and Leonard A. Kaufman, Los Angeles, Cal., for appellees. Before BIGGS, HEALY and BONE, Circuit Judges. variously being either citizens of California or of New York. been also named as a party. connection with its sale of Mobilgas. "c. The Brown and Williamson Tobacco Corporation (Kool Cigarettes), Ted Bates Agency. "d. The Gruen Watch Company. the terms of this agreement by our mutual written statement to that effect. the general public not later than January 1, 1950.
signing in the space provided therefor below. Alliance, Incorporated Production by Lester Cowan.) "By (s) Lester Cowan." to see any foundation for liability against either Cowan or Bulova, granted the motion. D.C., 89 F.Supp. 564. The appeal at bar followed. parties and not subject to any variation or enlargement by parole evidence. with the provisions of these contracts. Kline, apparently, was acting as agent both for Gruen and for Cowan. this stage of the proceeding. public. The word "included" is also used in the fourth paragraph but it is modified by the adverb "actually"
word "included" used in paragraph three and the phrase "actually included" used in paragraph four? arises from the use of the phrase "advertising signs and displays" and the phrase "signs and displays"
so only in order to advertise Gruen's product? Gruen watches? If Cowan was not entitled to make this exaction, was Cowan guilty of breach of contract? These questions also are ones which cannot be answered by an examination of the letter contract. Simmons v. California Institute of Technology, 34 Cal.2d 264, 209 P.2d 581.
either Bulova or Cowan. This issue is one which again cannot properly be determined on the pleadings. remanded with the direction to proceed in accordance with this opinion. California. The Bulova Watch Co. is a New York corporation.